How to host an epic ladies night to strengthen your friendships. I’ve been to a ton of women’s events. From bible studies to accountability groups to cookie baking nights to brunch to wine and movie nights- I’ve done it all. Although done with good intent, these events often feel forced, unsatisfying, and seriously lacking vulnerability. As someone who craves deep connection, the small talk, gossip, and topical conversation that did not relate to the whole group made me wonder if there was another way. A little over a year ago, I created a ladies night that I wanted to be a part of and started hosting it with friends. It was a no cell phone, no small talk kind of event. There were delicious snacks and the whole focus was on vulnerability and connection. I invited 10 girls over and called it a Glow Gathering. It had major success. Every time I hosted the monthly gathering, there were tears, laughter, phone number exchanges, and hugs. I was thanked time and time again for facilitating the group, and I began to put together in my mind what was so different about this meeting compared to the ones of the past. Here are the 7 things I did to insure an epic ladies night that strengthens friendship. I established from the start that we were being authentic, and set the tone by being authentic first. The shy and quiet ones, I see you. Your turn. We wanted to hear from everyone. I started the evening with 5 simple questions and a theme everyone knew in advance. It led the conversation, but was able to flow where it needed to. No one spoke a word about other people. It was established from the beginning that there would be no talk of what was said to people who did not attend or after the event. Cell phones were put up, so people felt free to share without being an instagram prop and people felt like others actually cared, with there being no distractions. We ended each night by honoring someone in the room, while honoring ourselves. It is always the most emotional part of the evening. If you are a host of frequent ladies nights, try to implement these tips to make your night extra juicy and meaningful. Trust me, it will strengthen your friendships and maybe create new ones. If you live in Springfield, MO or surrounding cities, I offer a small group coaching session called Come Alive Gatherings for you and your friends. If you are wanting deeper connections and to do something extra special for your group of gals, check out what past hosts are saying and let's get in contact. 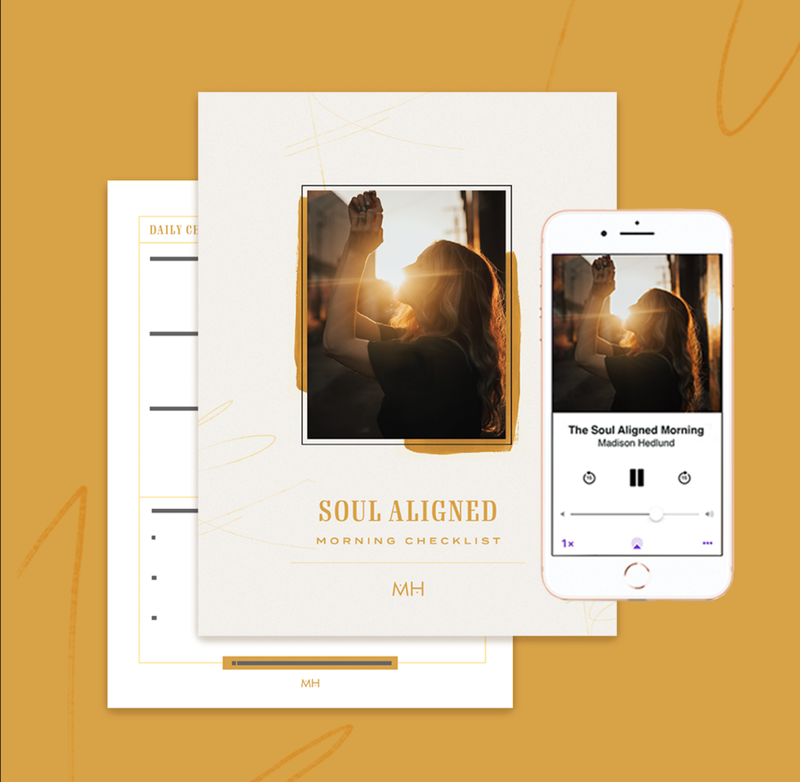 If you find yourself wanting more authentic encouragement, weekly reminders, and access to a free journal guide to help you get centered, join the tribe. Hey there. I am so happy you found your way here. I want to welcome you and invite you to be a part of what I am doing here. My name is Madison. I am a life coach in training and am on a mission to remind women of their power, strength, purpose, and scream it from the rooftops that they have access to living a full life. My desire for this space is for you to feel like coming home. I want you to feel like you can come here and chat with an old friend. I want to give you practical tools to better your every day life, love and encouragement for when those days get rough, and hopefully build a genuine relationship with you and foster a community, a tribe if you will, of women who are fed up with shame, insecurity, expectations, and unworthiness, and want to come alive to a new kind of life. I know for a fact that when you start to see yourself as able and powerful, you will start to live that way. You will thrive in your work, you will be the best lovers, mothers, sisters, friends, and women you can be. Your life will never be perfect, but a life deeply rich and full of goodness does not demand perfection, it only demands an open heart. It would be my greatest joy for you to take a peek around this space and make yourself at home. If you are ready to journey with me, please join the tribe and comment below. I would love nothing more than to hear your story and get to know you.